Surrounded by orchards and lavender fields in the countryside 27km from Avignon, this beautiful contemporary holiday home will delight lovers of nature and tranquility. Surrounded by orchards and lavender fields in the countryside 27km from Avignon, this beautiful contemporary holiday home will delight lovers of nature and tranquility. You will appreciate the flowery terrace equipped with a BBQ and the big green garden which will welcome your moments of relaxation and your good moments not family or between friends. A charming kitchen opens onto the large sunny terraces and the covered patio. The spacious living room is very comfortable and provides a very pleasant atmosphere of well-being. 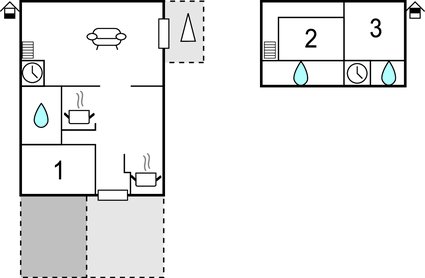 For optimal comfort, the three bedrooms each have their own bathroom. The beautiful view of nature will make you rest. If you want to discover the most beautiful sites of Vaucluse, you will be ideally located! Avignon, first of all, with its incomparable Palais des Papes. A nice walk awaits you on the side of Rocher des Doms and by strolling in Les Halles, you will probably discover the best local products with which you will concoct good dishes in the colors of Provence. The Rue des Teinturiers, the Place de l'Horloge or the Petit Palais Museum are all sites to discover in this beautiful city which hosts a world-renowned theater festival that will delight the whole family. You can also make beautiful walks on the Rhone or try golf. Discover also Fontaine de Vaucluse and Isle sur la Sorgue which will delight the bargain hunters with its antique shops. For children, Monteux is close by with two amusement parks that will make you spend unforgettable moments: Splashworld for nautical activities and the Parc Spirou for fans of comic books. There is still much to discover so if you want to enjoy it, book this charming holiday rental that will ensure you a successful stay under the sun of Provence. This solidly constructed villa was originally built in 1850 and refurbished in 2015. The agent has rated it as a three star property so it is a well-kept villa, equipped with standard furniture. It is also good value for money. 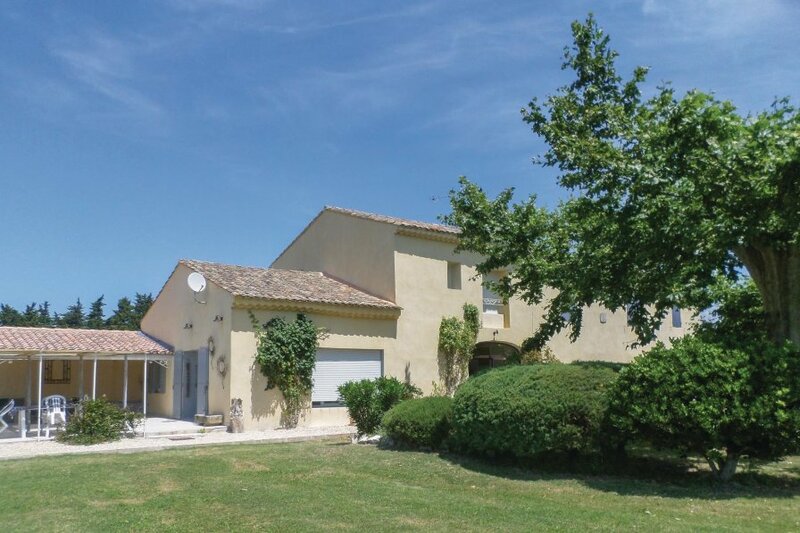 The villaIt is located in Le Thor, 27km from Avignon. The nearest airport is 70km away. It is set in a good location: there is a restaurant 4km away. The villa has free wireless internet. You can also park on-site at no extra charge. The villa is well equipped: it has a refrigerator, microwave and dishwasher. It also has a barbecue, a garden and some garden furniture outside.